The Victoria Hall, at the western end of Ealing Town Hall, was built with public donations over 100 years ago. It is held by a charitable Trust which says it must be kept for “meetings, entertainments, balls, bazaars and other gatherings”. A public consultation in March 2018 showed overwhelming support for the view that the Victoria Hall is an asset which belongs to the community and so should not be handed to a private company. It is CEPAC’s view that there are two main reasons to reject the Council proposal. First, Ealing Council does not have the right to alter the provision of the Trust that has governed the use of the Victoria Hall since it was built in 1893 using money raised by public subscription. Second, Ealing Council’s public-private development scheme for the building falls far short of what could be done with it. Its partnership with a hotel operator would provide what appears to be only limited affordable access to the public and does not make the most of the space and the location. ​A more imaginative scheme could more than meet the requirements of the Trust by turning the Victoria Hall and the spaces underneath into a thriving community resource, providing the borough with much-needed performance, event and exhibition space. CEPAC has produced plans to keep the Hall for community use and to pay its way under the Trust. Keep in touch with CEPAC by filling in the form on the Contact page. 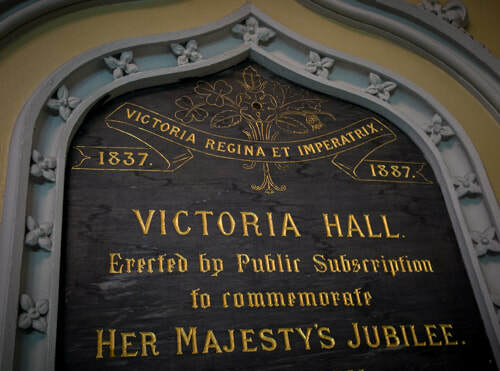 You can help us develop our plan for the Victoria Hall by contributing to our funds through Justgiving.com or by completing and returning the GiftAid form which can be downloaded here.